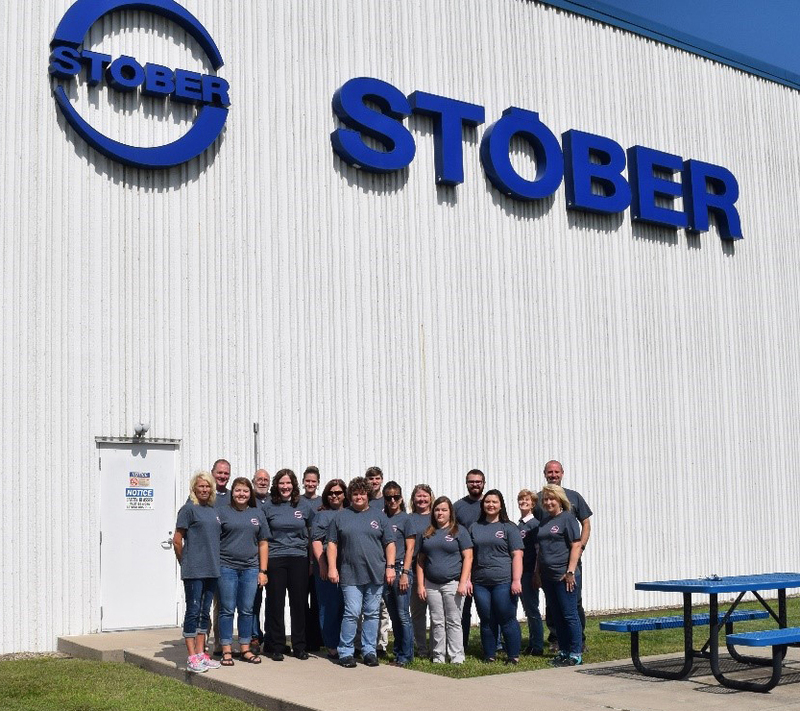 STOBER Employees Raise Money for Breast Cancer Awareness Month – STOBER Drives Inc.
October is Breast Cancer Awareness Month and STOBER employees wanted to raise money and awareness. Megan Fulton, member of the employee assistance fund committee, designed a t-shirt with the theme “hope for a cure.” Almost $450 was raised through t-shirt sales. The money will be donated to the Relay for Life and Cancer Care Club. Pictured above are some of the employees who purchased shirts. In the center is Anita Truesdell, a breast cancer survivor. We are proud to stand beside her and the thousands of others fighting breast cancer and honor those who lost their fight.